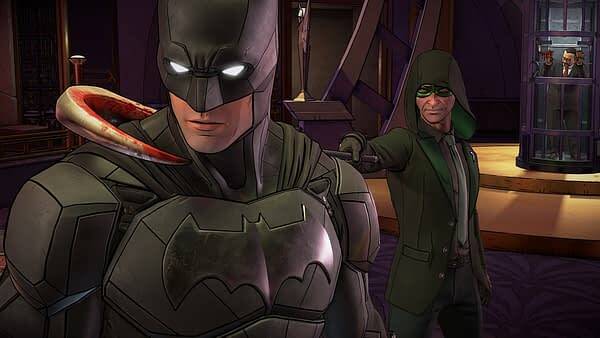 When last we left Telltale Games in charge of a Batman series, we got a great story with some awkward changes. If you haven’t played the first game, spoiler alert, it’s been out for a year. 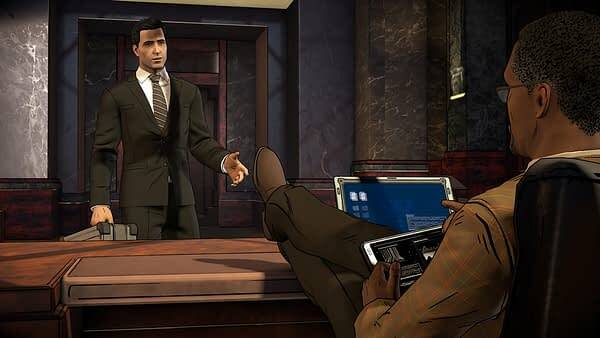 The developer took a lot of liberties with Gotham in general by making Bruce’s parents part of the mob, Harvey Dent was the mayor before becoming Two-Face, The Penguin knew Bruce as a kid, we meet the Joker in Arkham after his supposed changes, and reporter Vicky Vale was a psychotic mastermind. Oh, and way too many people found out Batman was Bruce Wayne. To be blunt: this is not the Gotham or Batman we were used to. 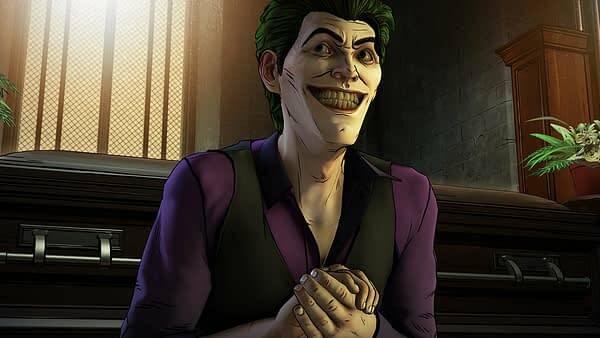 That being said, at the end of the day, the overall first Batman game went off without a hitch, so Warner Bros. and DC Comics put their trust in Telltale again to make the second series called Batman: The Enemy Within. We’re one year removed from the first game, as Wayne is working to rebuild Gotham and his image when The Riddler resurfaces after years of being absent. 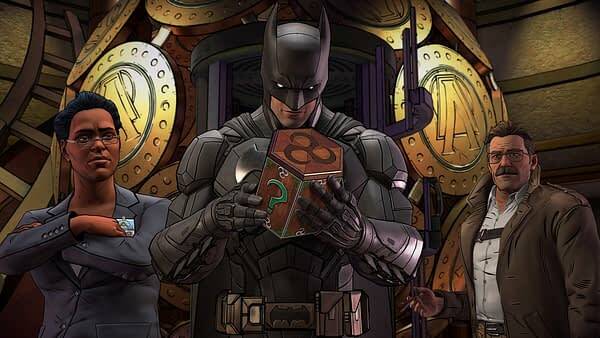 We won’t give any plot points away moving forward, but we can tell you that Telltale doesn’t really stop messing with the Batman universe. And if you don’t like having the game mess with your childhood, you’re going to have a lot of issues.  The gameplay is the same as the previous title: a mixture of choose-your-own-adventure settings, clue finding, long cutscenes, action sequences, and watching everything you do unravel in front of your eyes because of your choices. One of the biggest criticisms I have about the series is that there’s no learning and little failure when it comes to crime-solving. Batman is the world’s greatest detective, yet I feel like I’m being led around like a dog on a leash to solve the crimes rather than exploring what my options may be. The combat system is far more engaging than last time. 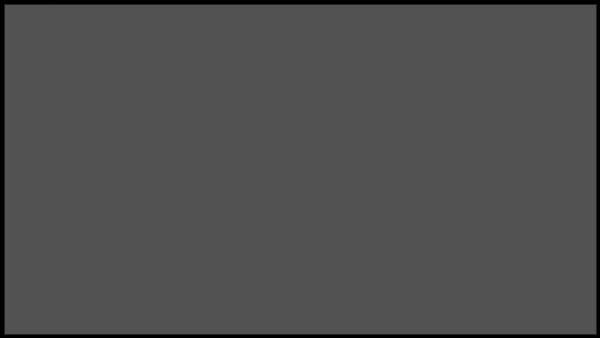 In the first game I constantly had to worry about not getting the timing off in just the right moment; now there feels like there’s some give and a little more warning to hit someone. There’s also a cool Batarang feature where you can hit multiple targets at the same time if you hit the sequence properly. These additions made the fighting sequences much more enjoyable. If you happen to have played the first game, all of your choices and decisions come around with you on the new adventure. This includes how you talked to The Joker in Arkham, who comes around looking for that favor. It’s a weird juxtaposition, having the Joker in pre-acid bath mode with green hair and pale skin acting somewhat normal to Wayne for the favor. On the other side of things, you’re given a strange story where Batman’s sense of right and wrong are constantly being tested, and if you thought it was hard to “Batman your way” out of the situations before, you’re in for a lot more pain this time around. While the story is interesting, I can’t help but have a sense that the writers changed the entire story of Batman just to have an original take under their belts. There are parts of this story that, while cool, is clunky and just don’t fit the motif. How many times does Batman, a character with a strict sense of justice, always end up in situations where that code has to bend? How often can you keep putting Batman at odds with everyone in the game before you make people wonder why anyone stays allies with him? 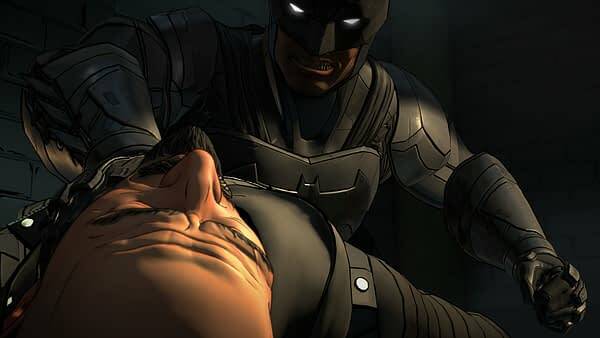 Batman: The Enemy Within is a fine start to the second season, but not without its bumps and bruises. There’s a lot going on here that needs to be taken in, which includes the concept that not everything happening in the game and to the characters is easily explained. This season is going to be an interesting look at the character through a set of glasses we’re still not totally comfortable with.